A simple project consisting of an inexpensive video 'board-camera' connected to my computer in order to view the wild birds and squirrels in my garden started to become unwieldy when a second and then a third camera was added. As my computer only had one video input (via a TV Tuner card), some means of quickly and reliably switching between the cameras was required. 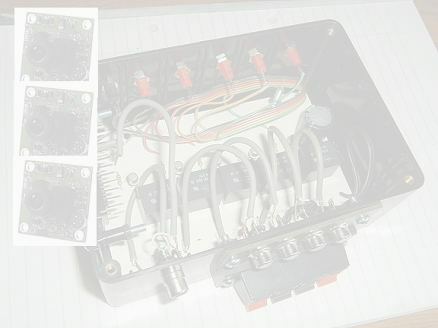 The design I came up with is purpose-built to suit my particular needs but, with the addition of some miniature switches, it can easily be adapted to become a simple general-purpose video switchbox where more than one video camera can be switched into a single video monitor.